The architecture reflects the history, tracing the evolution of one of the first regions in today’s New York State to be settled by Europeans. Dutch and French Huguenot villages and homesteads of the 1600s form the core of today’s Kingston New Paltz, and Hurley, surrounded by the structures built by their descendants and later immigrants—the English, Irish, Italians, and scores of other ethnic and national groups—as Ulster County rose from the ashes of the American Revolution and became an important commercial center, with bustling ports on the Hudson River, the booming 19th-century “Empire State’s” first superhighway. Everywhere one looks in Ulster County there are vestiges of the past—abandoned cement mines, locks of the old D&H Canal, idle railroad depots, the ghostly shell of a grand old hotel that never opened to the public. And there is the “living history” as well, the structures built by previous generations that are still vital today, like the Mohonk Mountain House and the hundreds of other historic buildings representing nearly every American architectural style from 1660 to 1950 that remain private homes, libraries, schools, houses of worship, or have been converted into museums. Grand mountain hotels and baronial hunting lodges are represented in Ulster County, New York, but so also are the modest homes of the poor and the middle class. Author Rhoads’s concept of architectural heritage is broad and all-encompassing. There are bridges and cemeteries, a “school-bus house” and a vacation resort composed largely of retired Kingston trolley cars. There are rotting huckleberry pickers’ shacks, the bizarre but creative cabins of hermits and eccentrics, side by side some of America’s most influential art colonies, “Gilded Age” mansions, and dozens of buildings on the National Register including the National Historic Landmark District in New Paltz and the National Register Historic District of Cragsmoor. The text is enlivened with the histories of the owners, the architects and the builders, as well as the social and historical context within which the structures were built. 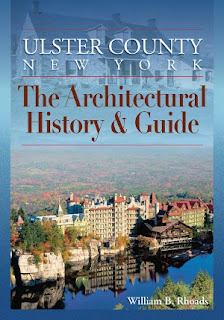 Ulster County, New York is a monumental work, the culmination of the author’s lifetime study of the Hudson Valley’s cultural history. William B. Rhoads is a professor emeritus of art history at SUNY New Paltz, where he taught from 1970 to 2005. His publications include studies of Colonial Revival architecture and Franklin Roosevelt’s sponsorship of architecture and art. Rhoads’s Kingston, New York: The Architectural History & Guide was published by Black Dome Press in 2003. Woodstock, NY—On Saturday, November 12, the Historical Society of Woodstock (HSW) and the Woodstock Poetry Society are co-presenting a special Veterans Day reading at the Eames House on 20 Comeau Drive. Featured ex-service readers will include Jay Wenk, Walt Nygard and Dayl Wise. The HSW portion of the program will run from 12:30 to 2 pm. From 2 to 4 pm the Woodstock Poetry Society will host readings by Matt Spireng and Suzanne Cleary. Veterans Day began as Armistice Day. It marked the end of World War I and has evolved as a day to honor all who have served our country. Jay Wenk, a current town board member, cabinet-maker and a founder of Veterans for Peace, will discuss his memories of World War II and read from his book Study War No More: A Jewish Kid From Brooklyn Fights the Nazis. Next up will be Walt Nygard, a United States Marine Corps veteran who served in Vietnam, Okinawa and the Philippines from 1969 to 1970. Walt hails from New Jersey and will be giving readings from The Summer Joe Joined the Army, a Post Traumatic Press title from 2010. Last up will be Dayl Wise who served in the Army from 1969 to 1970 and had a tour in Vietnam. Dayl’s Post Traumatic Press has published a number of chapbooks featuring veterans and their experiences. He will be reading selections that speak to his life and times in Vietnam. From 2 to 4 pm Phillip Levine, Woodstock Poetry Society president, will introduce the regularly featured readers for November: Matt Spireng and Suzanne Cleary. Spireng, a Lamontville native, is the author of Out of Body, winner of the 2000 Bluestem Poetry Award. He has also written four chapbooks including Inspiration Point, winner of the 2000 Bright Hill Press Poetry Chapbook Competition. His new book, What Focus, is coming out soon. Suzanne Cleary, the final reader of the day, has two poetry books out via Carnegie Mellon University. They are Trick Pear and Keeping Time. Cleary’s poems have appeared in a number of anthologies and national publications such as Atlantic Monthly and Ploughshares. She teaches at SUNY Rockland and is a member of the National Book Critics Circle. The Historical Society’s current exhibit, titled People and Places—A Small Town Portrait, will feature a salute to veterans from Woodstock’s past. This event is free and open to the public. Refreshments will be served. For more info visit www.historicalsocietyofwoodstock.org. About the Historical Society of Woodstock: The Society was founded in 1929. Its mission is to shape our future through a shared understanding of our past. About the Woodstock Poetry Society: The Woodstock Poetry Society is a literary organization formed in 1996 to provide an opportunity for Hudson Valley poets to read from their work for an appreciative audience and for members of the community to gain a better understanding of poetry and the creative process. About Post Traumatic Press: This is a small press founded in 2000 by Dayl Wise and Alison Koffler. Its mission is to give voice to veterans and noncombatants whose lives have been affected by the trauma of war. The press has published work by veterans from World War II, the Cold War, the Korean War, the Vietnam War and the current wars in Iraq and Afghanistan. They have published nine chapbooks of writing by veterans and three anthologies, including Post Traumatic Press 2007, a gathering of work by three generations of service people. The Historical Society of Woodstock is taking its first foray into cinema this weekend, fittingly, with two showcases of the town's artistic past, created by a former resident. Even truer to form, the movies — 1968's "Clarence" and 1970's "Aquarian Rushes," both works of visual artist Jud Yalkut — will be shown at Upstate Films in all their 16mm vintage glory, a feat Historical Society Vice President Weston Blelock said wasn't easy. "Most movie theaters these days run on CDs, DVDs and the like ... reel-to-reel is gone," said Blelock. Luckily, a Historical Society trustee secured a rare 16mm projector from Bard College for the occasion, as well as a special technician. "These films are 40 years old — you have to handle them with a great deal of care," said Blelock. While conducting research for his book, "Roots of the 1969 Woodstock Festival: The Backstory to Woodstock," Blelock learned of various local arts organizations that were "very active leading up to the festival" — namely, Group 212, a media art collective just outside Woodstock where Yalkut was on faculty. Blelock connected with Yalkut via Nina Yankowitz, another former Group 212 member; immediately, the Historical Society's first Underground Film Festival was under way. Yalkut will be on hand to introduce his works. "Clarence" is a short film about Woodstock sculptor Clarence Schmidt, who lived on Ohayo Mountain in a seven-story home made entirely of found objects. The house, featured in Life magazine in the 1960s, burned down shortly after the footage was taken. "It's like a permanent record — and probably the only record, the only movie, that exists of Clarence Schmidt going through his house," said Blelock. "He was an oddity, a novelty." "Aquarian Rushes," commissioned by Michael Lang's Woodstock Ventures, documents the legendary 1969 festival. Though Michael Wadleigh's "Woodstock" became the event's "record of note," Blelock said, Yalkut's version offers viewers "different vantage points" than Wadleigh's big studio production. "No one really knows that this other version exists," said Blelock. "I'm curious to see it from a different perspective. ... It's rare, it's historic, it's one of a kind. 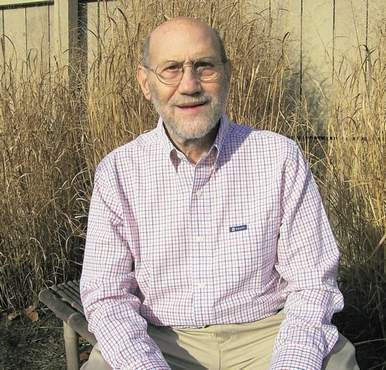 "That's what I like the Historical Society to be a part of," he added. "We're trying to help bring this back to the public eye, in different viewpoints, away from the beaten path."